Is the usual water-based gloss coating option for your prints isn't enough? Then get the highest gloss finish we have available through UV printing! 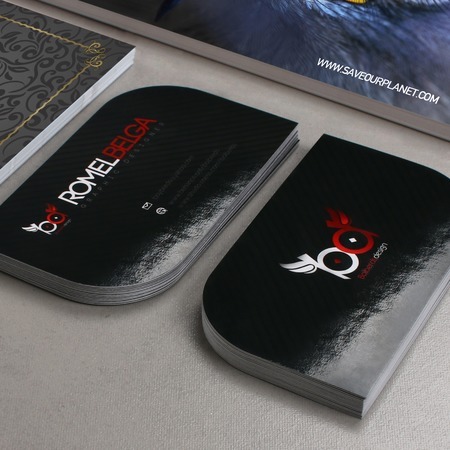 Our UV printing service is perfect for your business cards, postcards, flyers and brochures. The durable 14 pt. card stock and high gloss finish used in UV printing can make your marketing tools stand out and look professional. We can accommodate them in either our popular or custom sizes at bulk quantities starting from 250 up. So let your promotional materials shine! Check out our color printing services now. For more information about this service, contact us at 1.888.888.4211 or click our Live Chat button. We're open 24/7! Our digital printing services just got a whole lot better!As part of our eco-friendly printing initiatives, we offer UV printing that gives the highest gloss finish to your prints. UV printing dries instantly with less evaporation of solvents and less absorption of UV inks into the stock. Our UV printed products have a standard turnaround time of 6 business days to allow time for the high gloss coating to dry after press printing, though you can also have them on a rush schedule of 4 business days, excluding shipping times. Print on one side or both and choose from 5 different folding options or none. This high gloss coating is neither writable nor printable, and the card stock we use with it is extra thick - the better for your materials to stand out the way they should!